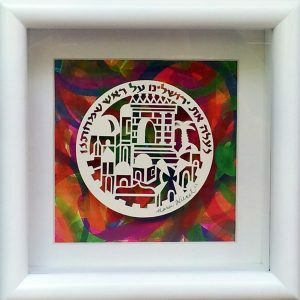 Categories: For Parents and Grandparents, Gifts for Community Leaders, Gifts for the Jewish Home, Great Gifts for the Holidays!, Israel-Holy Land Papercuts. 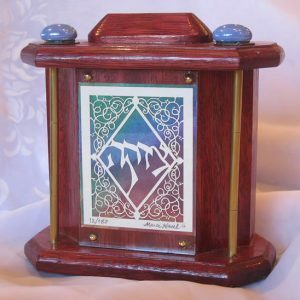 Tags: Actions of Parents are a Symbol to the Children, Jewish gift, Jewish Papercuts, Judaica gifts, Maaseh Avot Siman LaBanim, מעשה האבות סימן לבנים. 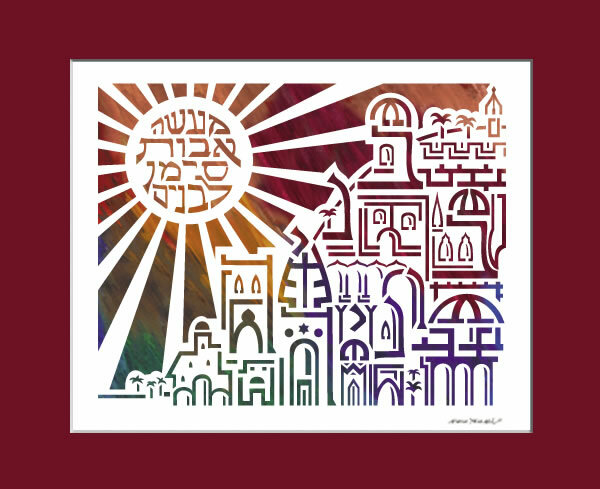 This lovely Judaica papercut exhibits the hilltop cityscape of Jerusalem with the sun shining down upon it. 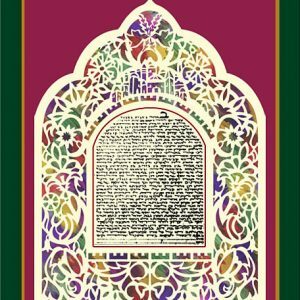 Within her buildings appear the words “Banaich Bonaich” which translates to mean “Your children are your builders.” The sun, whose center is comprised of the words “Maaseh Avot Siman LaBanim” מעשה אבות סימן לבנים (The Actions of Parents are a symbol to the Children), reflects onto the golden domes of Jerusalem. 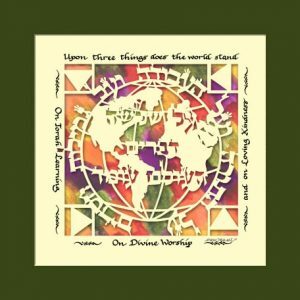 This artwork by Marci Wiesel makes a beautiful Jewish gift for parents and grandparents. The Actions of Parents are a symbol to the Children.